We are constantly evaluating new lines to bring you the very best! We love it when we can fulfill our customers' special vehicle needs. VEHICLE CONTROLS, LLC can help you find several of the special items that you need to build top quality vehicles, whether they are cars, tractors, motor homes, boats, or trucks. Today we have the largest inventory in the USA of VDO Instruments. 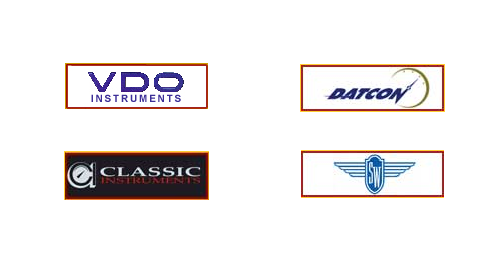 Our complete list of manufacturers includes Classic Instruments, Stewart Warner, and Datcon. We ship daily to manufacturers and distributors all over the USA. The quality of these manufacturers is recognized world wide. VEHICLE CONTROLS normally sells Wholesale Only to manufacturers, dealers, distributors, catalogs, etc. Retail Customers are welcome to explore our site and order products from our eStore or telephone us at (800) 457-7167.